The assumption that Amazon would sweep away all retailers that stand before it resulted in many US retailers being sold down. This hysteria created some interesting opportunities in the retail segment, one of which is Dollar General. 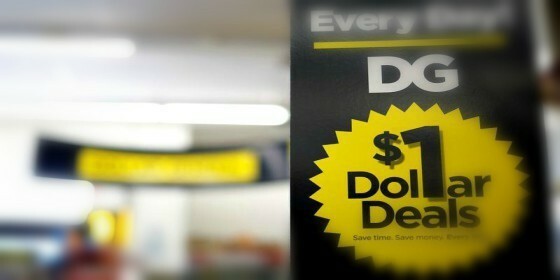 Dollar General is one of USA’s largest budget shopping chains. Its core business is retailing daily consumer essentials to lower social demographic consumers, predominantly located in rural, small towns. Catering to the lower income household market, who are less likely to shop online, Dollar General has seen their stock increase by 22% over 2017. Research into this customer base indicates that shoppers are not visiting the stores for the purpose of leisure, but instead to pick up every-day necessary household products, a habit not easily broken. High quality operator - Dollar General has grown same store sales consecutively for the last 27 years and management has consistently delivered on guidance. On an attractive valuation - under its current projections, Dollar General will double its store base over the next eight to ten years and its revenue is expected to grow between 7 – 10% p.a. over the medium to long-term. It will also benefit from USA’s growing lower social economic demographics due to that country’s ballooning rich-poor divide. Competitive cost advantage - Dollar General stores have an attractive cost structure, as it costs less than $0.25 million to open a new store (including inventory) resulting in new stores having a payback period of less than two years. Valuation – the hysteria around Amazon resulted in indiscriminate selling of US retailers, resulting in Dollar General trading on attractive valuation. Insulated from the online (read: Amazon) threat – 70% of Dollar General sales come from stores in remote towns with a population of less than 20,000 people. It does not make economic sense for Amazon to offer free deliver to these regions. This stock is currently held by our International Equities Team.